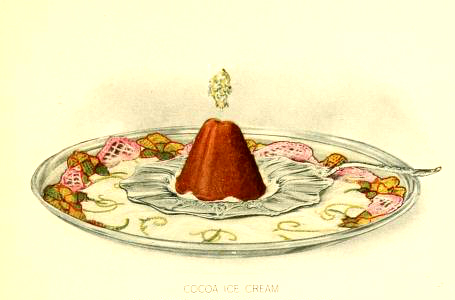 Enjoy this free chocolate ice cream illustration in the public domain. Curated from Lowney’s Cookbook, originally archived by the Library of Congress. Can also be found at Archive.org.